Impressive the previous week in Stockholm, in the Swedish capital city, she had successfully negotiated the qualification stage before, in the opening round causing a major upset by beating Japan’s Miu Hirano, Germany’s Petrissa Solja maintained that form on Wednesday 7th November in the city of Linz. 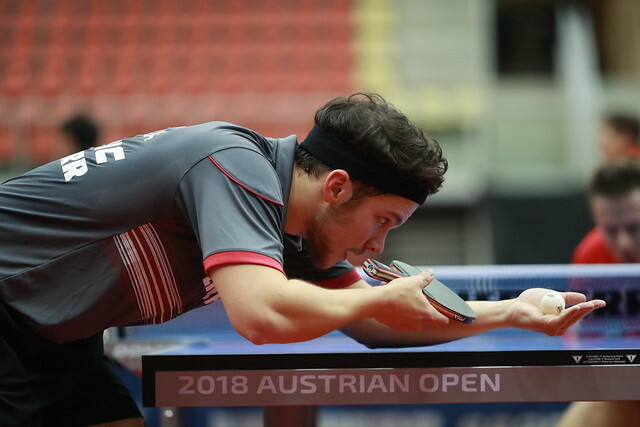 Likewise, she reserved her place in the Women’s Singles event at the Seamaster 2018 ITTF World Tour Platinum Liebherr Austrian Open. A notable success; equally, there were performances of note from China’s Sun Yingsha and Singapore’s Yu Mengyu. Sun Yingsha beat Japan’s Saki Shibata, Yu Mengyu accounted for Korea Republic’s Yang Haeun (11-6, 12-10, 10-12, 11-7, 7-11, 11-6). 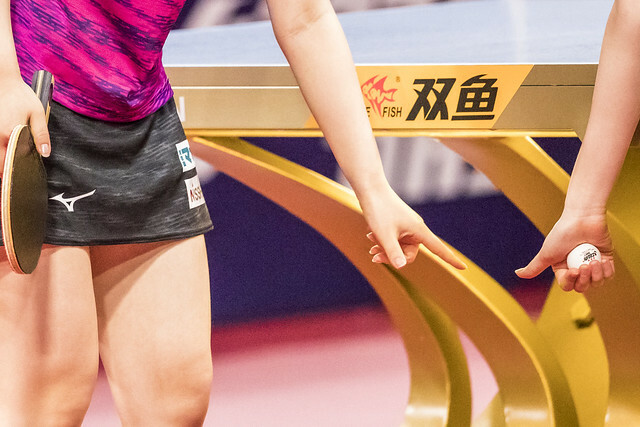 Defeat for Yang Haeun means that her hopes for a Women’s Singles place in next month’s US$ 1,000,000 Seamaster 2018 ITTF World Tour Grand Finals are now over; prior to the start of play in Linz she occupied the no.19 position (250 points) on the Standings. Somewhat differently, there is hope for China’s He Zhuojia; presently at no.17 on the Women’s Standings (279 points), just one place shy of an invitation, she kept her hopes alive of a place in Incheon. She accounted for colleague Chen Ke (11-9, 4-11, 5-11, 11-5, 5-11, 11-9, 11-8) to reserve her main draw place. Progress for Sun Yingsha and He Zhuojia, there was also progress for colleague Wu Yang; she accounted for Slovakia’s Barbora Balazova (12-10, 11-5, 11-7, 11-3, 11-8). However, there was defeat for China; Zhang Rui was beaten by Chinese Taipei’s Chen Szu-Yu (11-9, 8-11, 11-9, 11-8, 9-11, 8-11, 11-8). The balance for China in favour of success, for Japan in the third preliminary round of the Women’s Singles event it was somewhat similar. Minami Ando beat the Czech Republic’s Hana Matelova (11-9, 12-10, 11-7, 9-11, 11-7), Miyu Nagasaki accounted for colleague, Yumena Soma (11-13, 11-5, 11-7, 11-3, 11-8). Similarly, Honoka Hashimoto defeated Sweden’s Linda Bergström (11-4, 11-7, 6-11, 11-3, 11-1), Hina Hayata ended the hopes of Germany’s Han Ying (11-7, 11-8, 11-3, 14-12). Rather differently, there were defeats for the Land of the Rising Sun. Maki Shiomi lost to Portugal’s Fu Yu (14-16, 13-11, 11-7, 11-8, 8-11, 11-9), Miyuu Kihara departed at the hands of DPR Korea’s Kim Song I (3-11, 11-9, 11-4, 11-6, 13-11). Similarly, Sakura Mori and Shiho Matsudaira suffered when facing Romania opposition; Sakura Mori was beaten by Elizabeta Samara (6-11, 11-5, 11-9, 11-8, 7-11, 11-9), Shiho Matsudaira lost to Bernadette Szocs (14-12, 14-12, 8-11, 11-4, 11-6). Meanwhile, in the remaining matches to determine main draw places. Canada’s Zhang Mo accounted for Russia’s Yana Noskova (12-10, 11-9, 11-7, 11-6), Ukraine’s Margaryta Pesotska beat Luxembourg’s Ni Xia Lian (11-5, 9-11, 13-11, 3-11, 10-12, 11-2, 11-8). Play in the main draw commences on Thursday 8th November.